Need help transporting your pets? 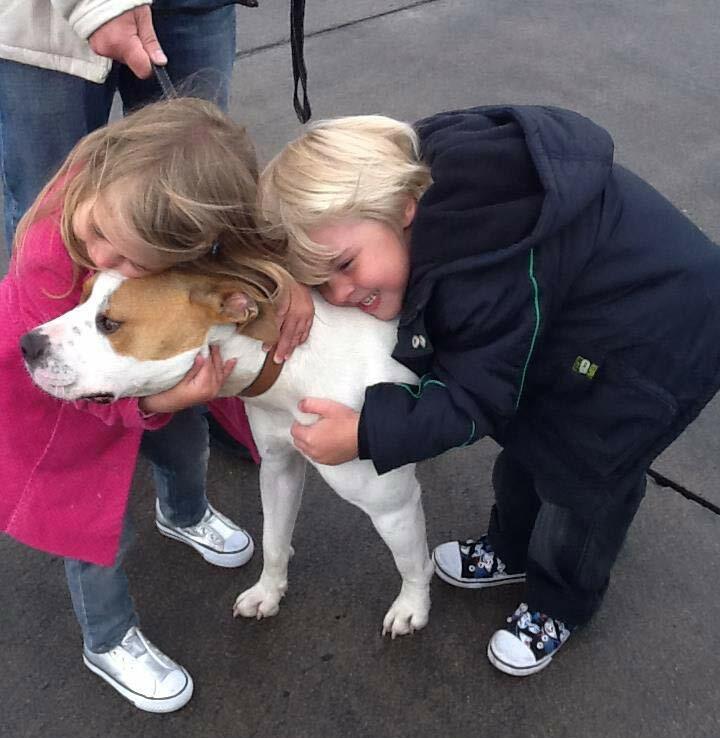 Thank you Petcarriers for delivering sinbad to us safely, here he is reunited with his brother and sister this morning at Denver airport. He was greatly missed for two weeks he was in your care, but we know he was very well cared for, so THANK YOU very much!!! Dear Rebecca, My family and I would like to give you our sincere gratitude for the most professional job you and your company did in transporting our beloved dog, ‘Spike’ to Switzerland. To see the way he arrived rested and refreshed is a credit to you. We as a family did worry how much the long trip would take out of him. We had nothing to worry about which was such a relief. Once again thank you so much. Regards, Richard and Kelly Dowse. I'd just like to thank everyone at Pet Carriers and Worldwide Animal Travel Vancouver. You did a fantastic job with our pup, after not even 24 hours and a very long sleep, she is back to her usual self and loves the snow. At the very best of times moving home can be a stressful experience and adding a family pet into this equation, things can get a whole lot harder. Knowing just how best to move your loved one from one side of the country to the other or further can be worrying. Thankfully, there is a solution to your problems. This comes in the form of Pet Carriers; an Australian owned & operated business. Having built up an excellent reputation over the last 20 years we are recognised as one of the best pet transport companies out there. We also specialise in helping with overseas pet transportation. Each and every dog or a cat brought into Australia will require a permit. These permits are issued from the Department of Agriculture and water resources. As you might expect there is a strict protocol in place relating to the process. We can assist in helping to obtain the permit on your behalf, ensuring a smooth entry into Australia for your loved one. You can feel safe in the knowledge that we will only ever use the most direct routes. This way your loved one will be delivered back safe to you with the minimum of fuss. Our interstate pet transport service will move your pet in our purpose built vans. All of which are fitted with dual zone air-conditioning systems. This ensures your pet travels in complete comfort, even during the hottest of Australian summers. First class care is provided all the way when using our acclaimed export service. We understand all of the requirements associated with travel to each individual country. This means that from the very moment your pet is collected you can feel assured that they are in the safest of hands. 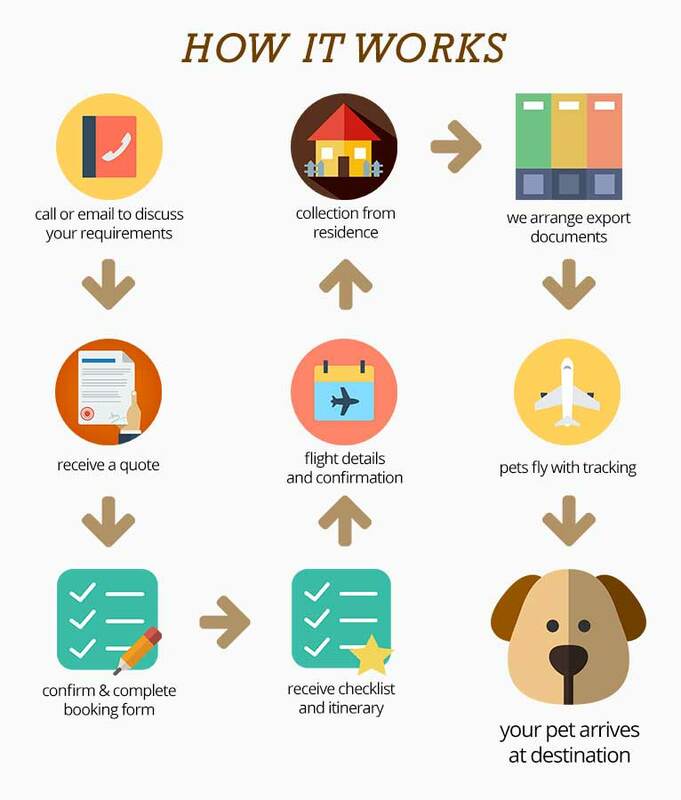 Our complete service provides airline bookings, export documentation and also the necessary health certificates from our vet. Our team is dedicated to the safety and well-being of the animals that we transport. Put simply, we treat our client's pets as if they were our own. For further information and to speak to one of our friendly consultants, contact us today on 1300 788 770 or for international bookings please dial +61 2 9700 7223. Don't wish to leave your best friends behind?